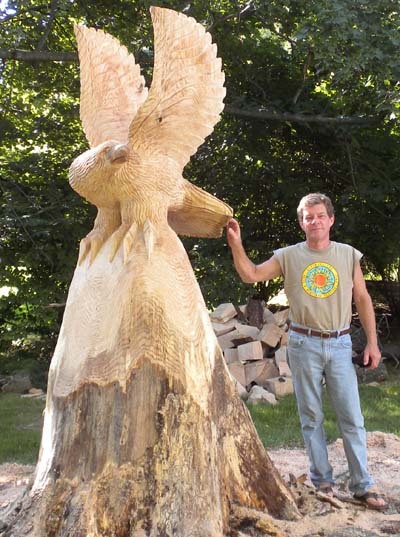 Hello, I am Joe King "the Treecarver", and my specialty is carving on-site tree stumps. This web page is under construction, but soon will include examples of work from my home base studio, " The Carvingpost ". You may also view other examples of chainsaw sculptures on my primary web site through the link below. Thanks for visiting...!